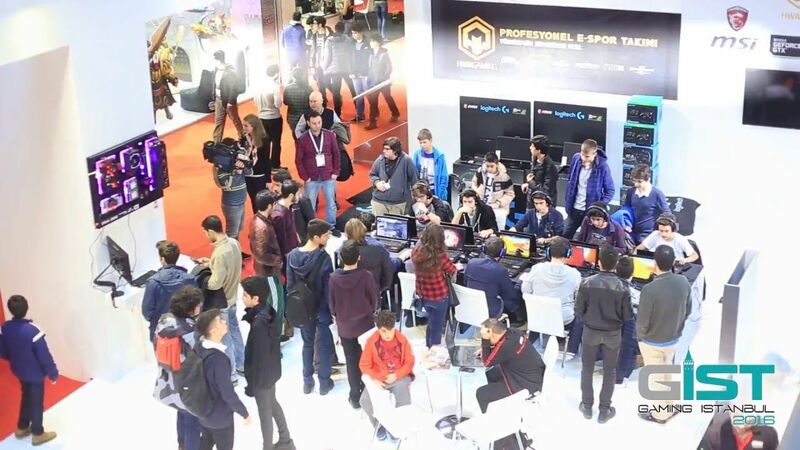 It is the long-awaited, much anticipated big video game expo for Turkish gamers. Gaming Istanbul meets with its audience between 4-7 February at Istanbul Congress Center! Highly anticipated, much longed for Digital Entertainment and Video Games Expo meets with its audience between 4-7 February at Istanbul Congress Center. Organized by GL Events, Gaming Istanbul will offer full range of fun activities and attractions for anyone from 7 to 70 to enjoy, who are interested in games. In addition to being able to experience the games that are the definition of excitement, gamers will also have the chance to watch world leading e-sports teams both from Turkey and around the globe. Gaming Istanbul aims to cover everything that gamers can and will enjoy, and thus will host unique events and performances. Whilst cosplay enthusiasts try to be the best cosplayer of Turkey in front of world-famous jury of cosplayers, independent developers show their games in the GIST Indie Area. It will be one of a kind experience for visitors. Alternative stages like Nostalgia Game Area for Retro lovers, Shopping Area with anything a gamer dream of and with its’ organized Hunting Game during the exhibition, it will be the event of the year. Beyond all mentioned attractions, with an understanding of neverending-fun, visitors will have the chance to keep boosting their dopamine levels even further at Beduk Concert and Karnaval DJ Party after the fair. Karnaval, the main media sponsor of Gaming Istanbul will host its’ party on the Friday the 5th February and Bedük concert will take place Saturday the 6th. Gaming Istanbul has content that more than meets the eye with great appeal to professionals in industry. On the February 3rd Tuesday, Developers Conference will offer the opportunity to listen international speakers for anyone in the sector or wishing to delve into it. First year’s topics are: “Concept Design & Art Direction” and “Virtual Reality”.